You do not need a local institution to learn coding, because I have listed platforms / websites to learn coding online. You will be able to learn various programming languages while sitting at home. The online learning platform not only helps you learn online, even providing certification for completion. If you know coding, then you can create software for the web, mobile and computer. Software development is the most demanding technical skill in the world, it increases your career with more opportunities and generate more income. Do not trust those who say coding is easy. Coding is not as easy as running a software, but if you start wasting time, it will be easy for you. With more than 25 million learners worldwide, Codecademy is one of the best online learning platforms in the world. The platform provides programming language courses for free. 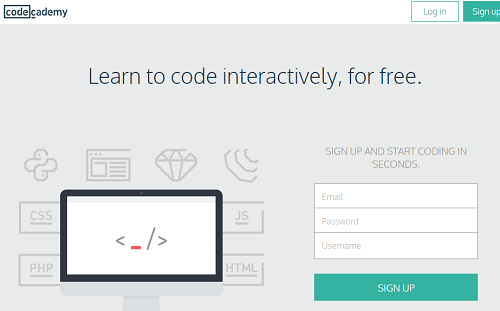 With just one free sign up, you will have access to all courses, but the Codecademy is not completely free. There is a pro plan that gives more benefits such as personal learning plans and quiz. 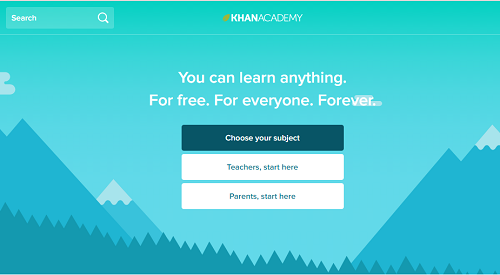 Khan Academy is a non-profit organization, aimed at providing free online education. Not just a computer programming, you can learn anything on the platform. Connect with 40 million learners around the world who use Khan Academy. Many of the big technology companies and foundation support Khan Academy, such as Google, Oracle, Bill and Melinda Gates Foundation, Walt Disney Company, AT&T and Bank of America. Udacity is a free / paid online learning platform that is used by over 1.6 million users worldwide. It offers the most demanding job skills courses under free and nanodegree programs. Their nanodegrees is recognized by many big tech companies such as Google and Facebook. Udacity’s content is very rich and easy to understand, even you can use their mobile app to learn offline. The courses given by Udacity are Android / iOS app development, data science, machine learning, software engineering, web development etc. Lynda.com is the oldest online learning portal (owned by LinkedIn) which provides thousands of online video courses, including software development and web development. You can learn to code from Lynda.com by selecting a paid plan or a 30-day free trial. To learn how Lynda works, visit the website and preview any course for free. Once you subscribe to Premium membership, you can view courses, videos offline on the Lynda’s native app available for desktop, tablet and mobile devices. Treehouse is an online tech learning platform that provides more than 200 courses in web design, coding and more. 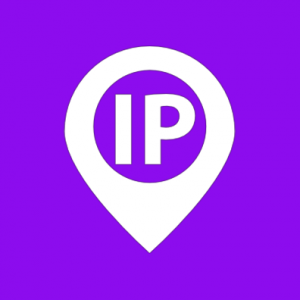 The platform is free for 7 days as a test for all new learners, after that the user needs to choose a paid plan to access video courses and facilities. 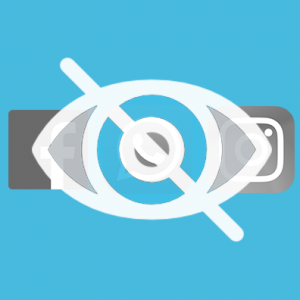 Treehouse is currently used by over 180,000 learners around the world. 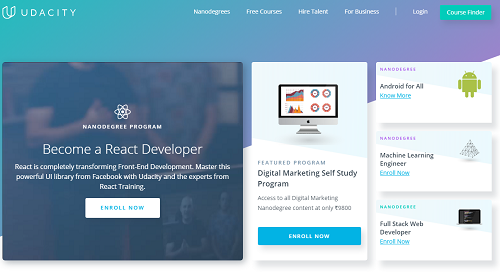 Udemy is one of the largest online learning platforms and is a marketplace that offers approximately 45,000 courses in software development, design, marketing and more. 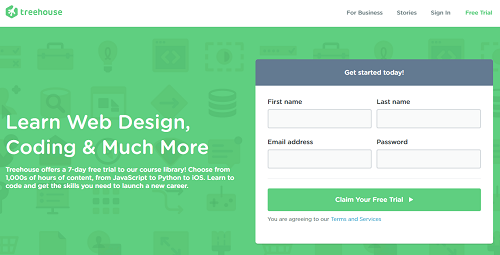 You can explore coding courses by programming languages and buy a course in order to enroll. 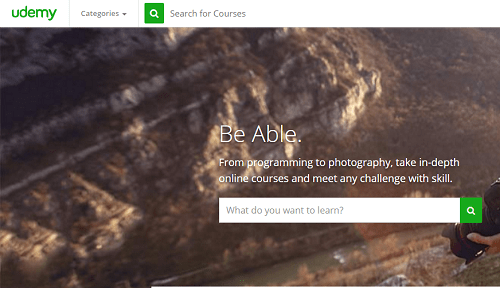 Udemy is used by more than 15 million learners around the world. Coding courses offered by Udemy are software development, web development, mobile app development, database etc. One of the best ways to learn is to learn online tutorials. 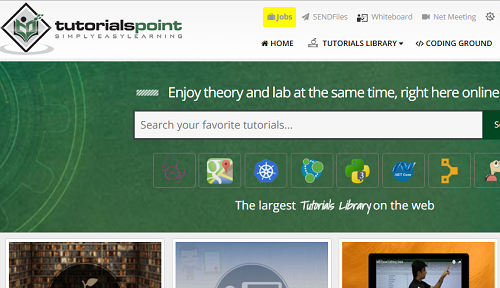 TutorialsPoint.com is a completely free website that provide tutorials on programming, mobile development, web development, database and more. The website contains hundreds of step-by-step tutorials on various programming languages with live examples.